To receive more information about the next YTT program submit the form below. The goal of the Teacher Training at Pilgrimage Yoga is to create an inviting and safe environment where you can advance your personal yoga practice while learning to teach others the art of yoga. 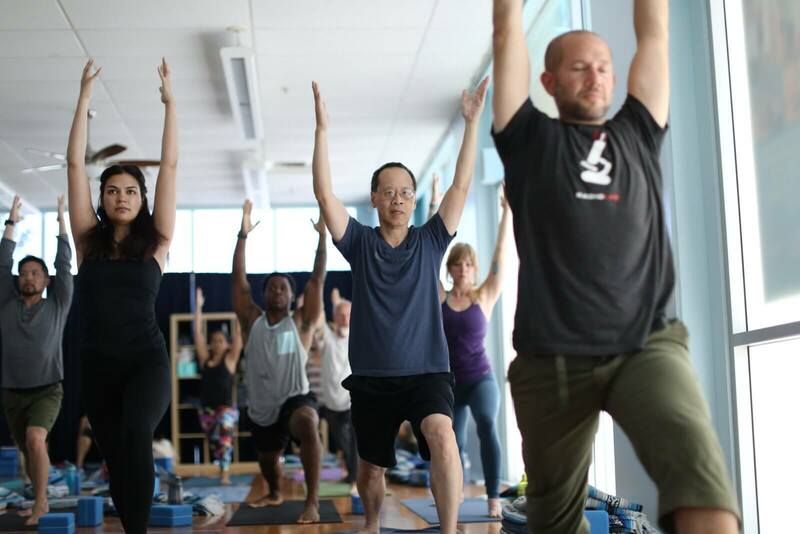 Our program is centered on three essential elements of yoga: ancient knowledge rooted in modern science, thoughtful and skilled teachers, and a strong community of support. After successfully completing the training, you may join Yoga Alliance as a Registered Yoga Teacher and enjoy the benefits of membership in this internationally recognized organization. You want to share yoga as a teacher. You want to elevate the level of your personal practice. You are interested in personal transformation. You are curious about meditation. 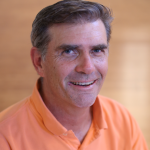 You are interested in deepening your understanding of anatomy and alignment in yoga. You want to learn more about the philosophy of yoga. You are seeking a community of like-minded people. See what our graduates had to say about the program here. Teacher training comes in more than one format at Pilgrimage of the Heart. Choose from a 5-month weekend program or a 1-month intensive program to find the best training format for you. Our trainings are designed to expand your practice experience on all levels, and both programs include 5 months of unlimited yoga at Pilgrimage of the Heart. How did you hear about our YTT Program? 9 Weekends: Each weekend workshop will be held on Friday evenings, Saturdays, and Sundays. Want to know more? Attend a FREE information session where you can meet the program administrators, look at training materials, and get all your teacher training questions answered. Not practicing with Pilgrimage? Contact the program administrator by completing the form on this page and we'll give you a week of FREE yoga. Our price includes all necessary books and materials. Program application and full payment of tuition must be submitted 48 hours prior to the training start date. 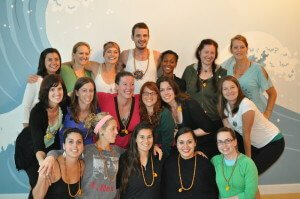 It is both a great honor and a great responsibility to run a yoga teacher training program. Here at Pilgrimage of the Heart Yoga we take that responsibility very seriously. We do everything we can to ensure that your experience of learning to teach yoga is fulfilling and comprehensive. 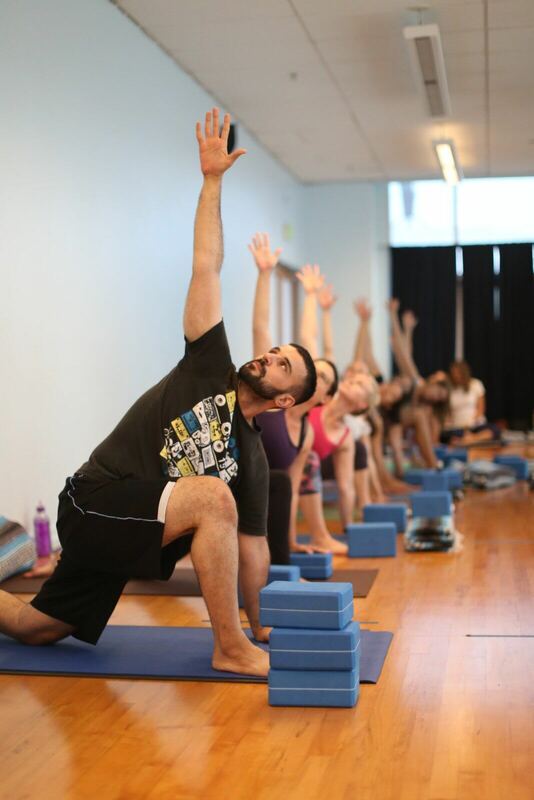 Our goal is to offer you the opportunity to develop the skills necessary to teach yoga. 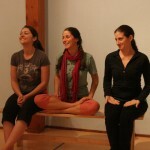 Our program is also ideal if your main goal is to deepen your practice and understanding of yoga. Nearly half of those who take our training do so primarily to expand their knowledge and practice. Some graduates go on to teach, while others choose not to. The training is for you. Pilgrimage of the Heart Yoga’s 200-hour teacher training is certified by Yoga Alliance, the only nationally recognized purveyor of Yoga instructor certifications in the United States. Q: How much experience do I need before taking the program? Q: What if I am not sure if I want to teach or not? Q: What kinds of training do you offer? Q: Do I have to be super flexible to teach yoga? 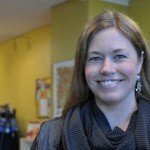 Q: How does the teacher training work? Q: What is the mentorship progrm? No other programs offer that. Q: It all sounds good. What is the next step? We recommend 12 months of regular yoga practice prior to beginning the teacher training. Regular practice would be considered either two studio classes a week (at Pilgrimage of the Heart or any studio of your choice) or a similar amount of practice on your own. Yoga is an ancient art that has been passed on from person to person for thousands of years. In the modern world yoga has taken on another unique manifestation: it has become an extremely popular form of mind-body exercise. As of 2016 over 36.7 million Americans are now practicing yoga and another 20 million are thinking about trying yoga. This creates a wonderful opportunity for you to teach and share yoga with others. The Western world is realizing not just the health benefits of yoga but also the mental and emotional benefits. In our teacher-training program we offer students the full range of yogic understanding so that you can play a significant role as a yoga teacher and practitioner in the years to come. You will learn all the components of yoga including yoga philosophy, breath control and meditation. Our training offers you the opportunity to both deepen your knowledge and practice and learn to teach. Half of those who are in our programs do so only to deepen their practice. Yoga is a journey of transformation and you will experience that transformation during our training. There is no “right” reason for practicing yoga. Each individual that embarks on the path of yoga does so for his or her own unique reason. At our studio we honor and respect all the reasons and motivations that inspire people towards yoga. We hold forth the same attitude when it comes to our teacher training. Whether you primarily wish to deepen your practice or want to become a full-time yoga teacher our program is designed to help you reach your unique goals. Our program will prepare you to teach all styles of yoga. You will learn the fundamentals of yoga, which you can then apply to teaching all styles of yoga including traditional hatha yoga, gentle yoga, power yoga, vinyasa flow, and hot yoga. We also feature a special workshop where you explore the fundamentals of teaching yoga to children, prenatal yoga and yoga for seniors. Best of all: from all that you learn you will be able to create your own unique yoga style and flow. You will learn the principles of pose/counter pose, the principles to sequence a yoga class, and the emotional benefits of the various poses. 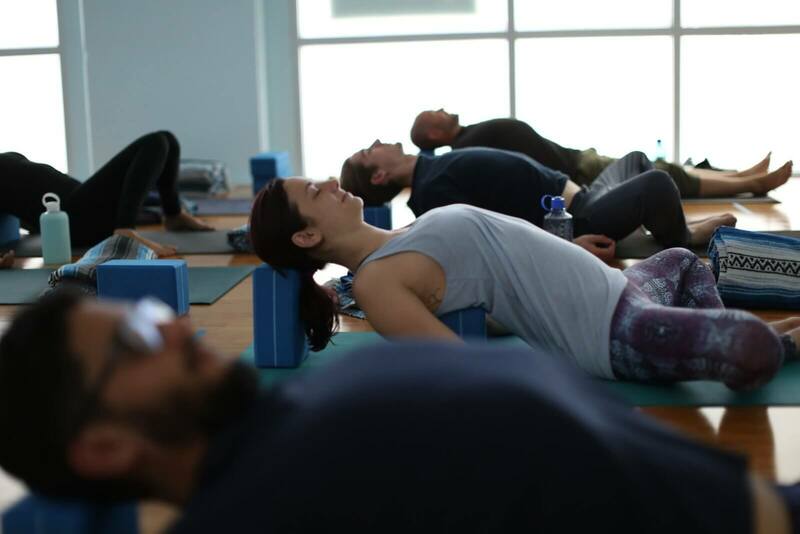 Our teacher training is an exploration of the foundations of Hatha yoga. The program is influenced by the teachings of BKS Iyengar and offers students an in-depth look at the alignment, anatomy and energetics of more than 40 yoga asanas. Besides the training in the physical practice of yoga, our program includes an introduction to yoga philosophy and the study of selected Sutras of Patanjali; instruction in meditation techniques and practice; and practical experience with teaching. We currently offer two trainings per year. Each spring we offer a 5-month training program with workshops on weekends. We also offer a one-month intensive training that extends Monday through Friday in the month of July. Both trainings are certified by Yoga Alliance, the most respected certification program in the world. No, but you do need to care about people and to want to help them learn and grow. Flexibility is only one aspect of yoga. In our training you will learn to guide people into postures through verbal cues and the demonstration of the postures. If there are postures or variations of the postures that you cannot do you can verbally cue your students into those postures. To effectively guide others in yoga you do need to know the basics of anatomy, which you will learn in our training. Another wonderful element of our teacher-training program is the fact that you are training and learning in the environment of a thriving yoga studio. Each week hundreds of individuals come to Pilgrimage of the Heart to learn and practice yoga. It is in this inspiring and uplifting environment that our teacher training is held. You will see the positive effect of yoga in the lives of our studio members and this will help you learn how to offer yoga to others. Our program is built on three principles: (1) the study of ancient knowledge rooted in modern science; (2) highly qualified teachers offering you outstanding instruction and guidance; and (3) a strong community of support. Through this program, you will receive training in the fundamentals of Yoga philosophy, Yoga postures (asana), anatomy, breathing exercises (pranayama) and meditation. You will learn to teach over 40 postures. 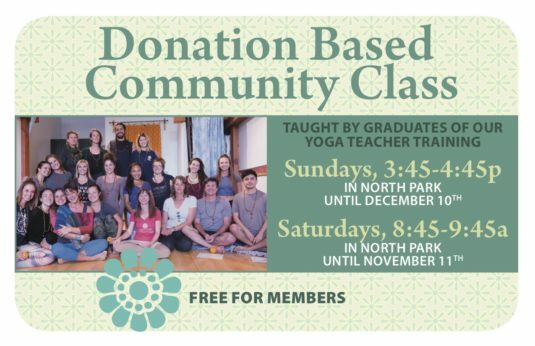 The backbone of our program consists of 24 workshops, homework, scripts for learning to teach over 40 postures, developing your own practice of yoga, learning breath control and meditation, observing during studio classes, assisting in studio classes, taking classes, and working with your mentor. Five months of studio membership and all textbooks are included in your tuition. Q: What is the mentorship program? No other programs offer that. This is one of the unique elements of our program. You will spend 8 hours in Spring, and 4 hours in Summer (you and your mentor can decide on how to divide up the time) working one-on-one with a mentor of your choice. You will choose your mentor from the participating teachers on our staff. This gives you an opportunity to ask questions, work on your teaching skills, and discuss spiritual philosophy or anything else that you wish to explore with the help of your mentor. This reflects the ancient mode of teaching through which the wisdom of Yoga was passed on through one-on-one exchanges. Yoga is an art and science that has evolved over thousands of years and involves plumbing the heights and depths of human consciousness. The more you read, study and practice the more you will be able to know and teach the essence of Yoga to others. Our program involves homework assignments that include reading, journaling and video scripting. These assignments are designed to help you reinforce the concepts and information you study within the program. The more time and energy you put into your study, the more you will get out of the program and the more confident you will be as a teacher. If you have never been to our studio please come in and try some classes! We have a great special: 2 weeks of unlimited yoga for $25. Attend a Free Information Session! During this session the Program Director and the Program Coordinator will answer any questions you have and offer you information that will help you decide if this is the best program for your needs. Click here for upcoming Information Session dates. If you decide that this program is the right fit for you, you can call the studio at 619-640-4438, send an email to [email protected] or stop by the front desk to schedule an appointment with our Program Coordinator to get the application process started." As a wise philosopher once said: “The longest journey begins with the first step.” We look forward to serving you along your journey in becoming a Yoga instructor. 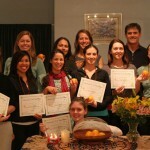 24 Yoga Teacher Training Workshops. 8 Hours of one-on-one mentorship meetings. Public yoga classes: participating, observing and taking notes during and after each class. Daily asana practice to solidify your own commitment to yoga. Successful completion of exams and final class presentation. Five months unlimited yoga at Pilgrimage of the Heart Yoga Studio. Mentorship Program designed in line with traditional Indian yoga instruction. Trainees work one-on-one with the yoga teacher of their choice. Skill-building to teach and adjust 40 postures. Skill-building to teach meditation, breathing techniques, and chanting. Lauren began her yoga training in the Caribbean and studied with teachers there, in Canada, and in the US. A teacher at heart, she returned to her calling and began teaching yoga in 2009 after completing her first teacher training with Aura Wellness Center in Rhode Island. 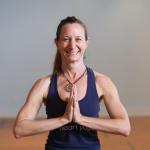 Always seeking to expand her knowledge and training, she completed her second 200-hour program with Deva Parnell at Discovery Yoga Center in St. Augustine, Florida. 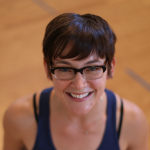 Kripalu inspired, her teaching style is grounded in honoring the body and its innate wisdom. 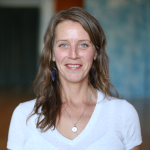 She brings dedication, compassion and a sense of lightheartedness to all of her classes, but what drives and inspires her most is a profound believe in the transformative power of the practice both on and off the mat. For this opportunity to offer guidance on the path of yoga, I am filled with gratitude. From this space of gratitude, I would like to give three thanks. To my shining spirit and the shining spirits of others who I will meet on this path. May our hearts beat joyfully together as we journey forward. To my family for offering constant encouragement as I found yoga and throughout all my life transitions that come from inward listening. To my teachers with lights that shine so brightly I can see and feel them when I close my eyes. Thank you. I promise to offer what I authentically am today and with each day moving forward to grow, as we all grow, with many blessings. Alyssa’s journey on the path of yoga began long before she rolled out a yoga mat. The awareness she cultivated from her vipassana meditation practice helped her realize the transformative power of yoga from her very first class. After completing her first 200 hour teacher training in 2010, she began teaching immediately. It didn’t take long before she knew that teaching yoga was her passion; following her instincts and relying on faith she quit her job as an animal nurse to teach yoga full time. Her trust in the universe paid off; she now balances teaching yoga, managing a studio, and continuing her own education as a teacher and a student. 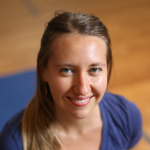 From beginning hatha to advanced vinyasa, Alyssa enjoys working with yogis of all levels in a myriad of styles. Her teaching demands a strong cultivation of awareness, while weaving in meaningful spiritual themes which are very pertinent to everyday western life. She is currently immersed in a year-long Anusara training and is delighted to incorporate these teachings into her classes. She believes yoga is a path to revealing our divine nature, one mindful breath at a time. We want you to continue to feel supported by the Pilgrimage community even after you have completed our program. Join our Unlimited Membership at a discounted rate of $40/month for 6 months. Opt in to our Employment Mailing list to be advised of upcoming teaching opportunities. Continue your education with year-round trainings in areas such as Yin Yoga, Pranayama, and Pre-natal Yoga. Get real studio teaching experience by teaching and assisting in our Community Class.